Pig Gelatin and Synthetic Pork: Kosher? This week’s Torah reading (in the diaspora) is Shemini, famous for its list of kashrut laws. One of the things explicitly prohibited is, of course, pork meat (Leviticus 11:7). In recent times, a number of articles have circulated making a variety of different claims, such as that lab-grown pork might be kosher, or that pig gelatin is kosher, or even that all pork meat is actually kosher! Is there any validity to these claims? And why is pork forbidden to begin with? Did the Torah Mean to Forbid Pork for Everyone? Last year, an article made headlines arguing that the prohibition of consuming pork was only meant for Israelite priests, not the general public. This is based on the old idea that the entire Book of Leviticus was meant only for Levites. The argument is silly, for although Leviticus does have many laws intended only for priests, it also has a great many laws that obviously apply to all of Israel, including the well-known “love your fellow as yourself”. One simply has to look at how the laws are introduced to know whether they apply solely to priests or to the whole nation. When it comes to kashrut, the Torah states: “And Hashem spoke to Moses and Aaron, saying to them: Speak to the children of Israel, saying: ‘These are the creatures that you may eat among all the animals on earth…’” (Leviticus 11:2) Clearly, God commanded all of Israel when it comes to dietary laws. Besides, abstaining from pork was actually common in other places across the Middle East. 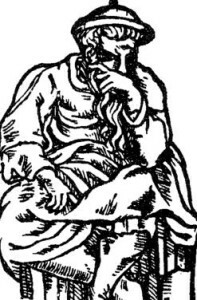 The Greek scholar Strabo (c. 63 BCE – 24 CE) noted that the ancient Phoenicians also abstained from pork, as did those who dwelled in the Arabian Peninsula, and their Muslim descendants to this day. Some believe this is because raising pigs requires a lot of water compared to raising other livestock—a precious commodity in the dry Middle East. Even the ancient Egyptians appear to have avoided pork meat at times. 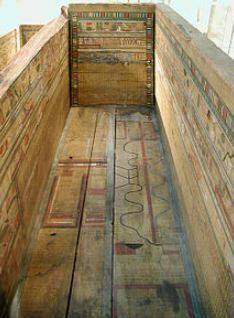 Perhaps the oldest reference is in the Coffin Texts that date as far back as the First Intermediate Period (2181-2055 BCE). Here, the evil god Set takes the form of a black pig, and is ultimately slain by the god Horus, to whom “the pig is an abomination”. 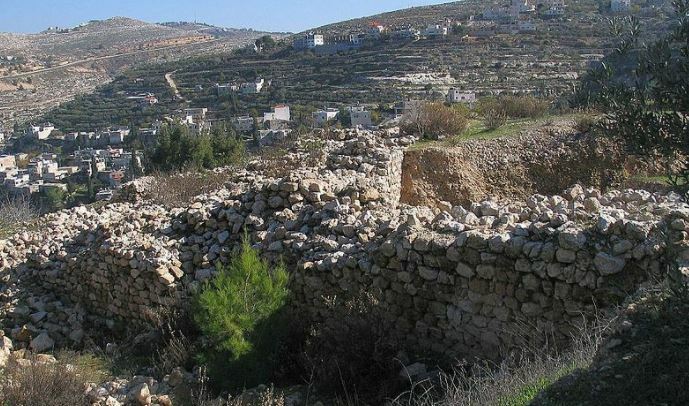 Whatever the case, it is well-known that archaeologists working in Israel can easily differentiate an ancient Israelite site from a Philistine one by the conspicuous absence of pig bones in the former compared to the latter. There is no doubt that all ancient Israelites abstained from pork. Meanwhile, Rashi (Rabbi Shlomo ben Itzchak, 1040-1105 CE) holds that the prohibition of pork is a chok, a divine law with no human rationale, just like the laws of the Red Cow or the prohibition of shaatnez, the wearing of wool and linen together in one garment (see his commentary on Leviticus 18:4). There are spiritual things at play that we simply cannot understand. More mystical texts do try to explain those spiritual mechanics: for one, it is said that a person absorbs the qualities of the animals they eat. This is why we do not eat predators or filthy animals, as we do not want to take on their aggressive or impure qualities. The kosher animals are essentially all herbivorous and docile, and it is those peaceful and calm traits that we want. The Arizal (Sha’ar HaMitzvot on Ekev) further explains that kosher animals are those whose souls we are able to elevate. The act of slaughtering the animal in a kosher manner, reciting a proper blessing before eating it, and ingesting it into a holy human vessel allows those special spiritual sparks trapped within the animal to ascend to Heaven. The emphasis here is on holy human vessel, for if a person is unrefined and not righteous, with no connection to Heaven, they are unable to elevate any sparks at all. This is why, the Arizal explains, the Talmud states that an ‘am ha’aretz (an unlearned person or one who does not keep the mitzvot) shouldn’t eat any meat whatsoever! The Arizal notes that even a righteous, Torah-observant Jew should only eat meat on Shabbat and holidays, when a Jew is said to receive an additional soul. Without this extra spiritual power, it is nearly impossible to “rectify” the meat. While it is clear that consuming pork is absolutely forbidden, what about pork by-products like gelatin? Gelatin is made by boiling and processing the bones, skins, and sinews of pigs (or cows, or fish) to produce the jelly substance used widely in the food industry. It is typically reduced to a powder that can be mixed with water. The powder itself gives no indication that it came from a pig, and certainly no longer has any taste of pork flesh. Is it still not kosher? In Jewish law, a food that has been processed so thoroughly that it becomes tasteless (or inedibly bitter) is not considered to be “food” anymore. If one cannot enjoy from the flavour of the substance at all, then it is permitted, even if derived from a non-kosher animal (see Mishneh Torah, Yesodei haTorah 5:8). Such a substance is treated like an artificial chemical as opposed to an actual food. Similarly, something that is so putrid that even a dog would not eat it is no longer considered food. In the case of pig gelatin, it is tasteless, and it is unlikely that a dog would consume raw gelatin powder. Even when mixed with water, many forms of raw gelatin have a horrible taste. This puts gelatin in the category of a chemical, rather than a food. Thus, using it as an additive would be permitted. Many authorities have ruled this way, including Rav Chaim Ozer Grodzinski (1863-1940) and Rav Tzvi Pesach Frank (1873-1960). Still, some modern authorities forbid pig gelatin, which is understandable considering the great aversion to all things pig in Jewish culture. Today, when there are alternatives like fish gelatin, or even carrageenan (derived from seaweed), there is no great necessity to consume products with pig gelatin. 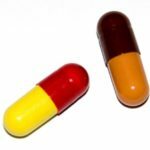 Some medications are encased in gelatin capsules, and are fine for use. Insulin that is derived from pigs falls under the same category. It would unarguably be permitted since it has a life-saving necessity for diabetics. Having said that, today most insulin is actually derived from genetically-modified bacteria, and recently scientists have even developed genetically-modified plants that grow human insulin! In recent years, artificially lab-grown meat has become a reality. This type of meat is cultured in a lab from the stem cells of an animal. The meat is produced synthetically, without any need for raising or slaughtering animals. The potential benefits are tremendous, since lab-grown meat allows for only the very best tissues to be grown, and tweaked to have a perfect combination of nutrients. It prevents the need for large ranches and slaughterhouses, for the great amount of farmland used to raise food for the livestock, and all of the pollution that this entails. (Altogether, animal agriculture accounts for about half of all greenhouse gas emissions, and countless tons of sewage and toxic waste.) 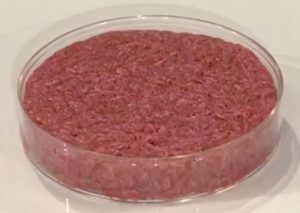 Scientists have successfully created lab-grown hamburgers, and an Israeli company (SuperMeat) is close to bringing cultured chicken to the market. Their chicken is healthier, uses 99% less farmland, 90% less water, and releases 96% less pollution. It appears that lab-grown meat is poised to take over in the coming decades. Is it kosher? While the halachic issues are complex and remain to be settled by halachic authorities, some have already stated there shouldn’t be any problem with lab-grown meat. In fact, since it does not come from an animal, and requires no slaughter, it wouldn’t even be considered “meat” to begin with, and would likely be parve. This has been suggested by Rabbi Shlomo Aviner, the rosh yeshiva of Ateret Yerushalayim, as well as Rabbi Menachem Genack of the Orthodox Union. Thus, kosher cheeseburgers may yet be on the way. More recently, Rabbi Yuval Cherlow (of Israel’s Tzohar Rabbinical Organization) stated that even lab-grown pork should be kosher. Once again, this is not an actual pig, but simply flesh cultured from a few pig stem cells. Such pork meat would never contain any blood, which the Torah states is what holds the animal’s nefesh (Leviticus 17:11), nor would it come from a living animal at all. From a Kabbalistic perspective, then, there would be no spiritual sparks to elevate. It seems lab-grown pork should be kosher. 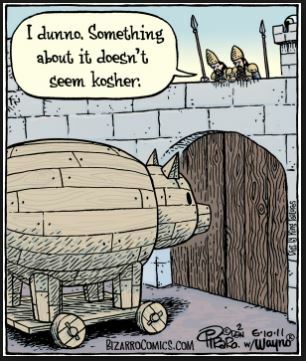 Amazingly, Jewish texts long ago stated that a day will come when pork will be kosher. For example, the Ritba (Rabbi Yom Tov of Seville, c. 1260-1320 CE) writes in his commentary (on Kiddushin 49b) that the pig is called chazir in Hebrew because in the future God will hachziro, “return” it to Israel! While we have discussed in the past that certain Torah mitzvot will be abrogated in the Messianic Era, it seems unthinkable that pork should become kosher. More problematic still, if the Messianic Era is a return to the Garden of Eden—as prophesied—than how can there be consumption of any meat at all? There was no death of any kind in the Garden of Eden, and consumption of meat was forbidden. It was only ten generations later that God permitted Noah to eat animal flesh. It should seem that the Messianic Era would be an entirely vegetarian one, like in Eden. At the same time, though, Eden is said to have contained all the pleasures of the world—so how can it miss the pleasure associated with eating meat? (Scientific studies confirm that eating meat boosts mood and happiness, and vegetarianism has been linked with higher rates of depression.) The World to Come should certainly be entirely pleasurable! Perhaps lab-grown meat is the answer, for it beautifully solves all of the above issues. Lab-grown meat requires no animals to die, and allows everyone to consume every kind of taste—with the added bonus of being healthier for both body and planet. We can safely return to Eden without worrying about killing animals, without worrying about destroying the environment, and without worrying about giving up the foods we delight in. This entry was posted in Jewish Law & Life Cycle, Kabbalah & Mysticism, Mashiach & End of Days, Torah & Science and tagged Am HaAretz, Arizal, Chok, Climate Change, Coffin Texts, Cultured Meat, Diet, Egypt, Environment, Food, Garden of Eden, Gelatin, Guide for the Perplexed, Halakha, Health, Horus, Is Gelatin Kosher, Islam, Kabbalah, Kashrut, Kosher, Lab-Grown Meat, Leviticus, Messianic Age, Mishneh Torah, Olam HaBa, Phoenicians, Pig, Pork, Rambam, Rashi, Ritba, Sefer HaChinuch, Sha'ar HaMitzvot, Shemini, Soul, Sparks, Strabo, SuperMeat, Tikkun, World to Come on April 11, 2018 by Efraim Palvanov.